In France today, China’s Xi Jinping will meet with French President Emmanuel Macron, German Chancellor Angela Merkel and European Commission President Jean-Claude Juncker. Mr Xi is in France on a bilateral visit, making the involvement of Merkel and Juncker highly unusual. Their presence is likely an attempt by the EU’s two most powerful members to reinforce a newly coordinated and defensive policy shift towards China. The meeting will be in stark contrast to Xi’s visit to Italy last week, where Rome agreed to join China’s Belt and Road Initiative (BRI). The Europeans leaders are expected to push Xi to reciprocate the free access Chinese firms have to EU markets and threaten stricter reviews on Chinese investments in the EU if this doesn’t materialise. Mr Xi, a savvy statesman, is likely to placate his counterparts but commit to nothing; expect little change to Beijing’s stance today. While the EU’s increasing wariness of China will concern Xi, Beijing still holds the upper hand. Despite today’s unified front, the EU remains a long way from implementing a coordinated policy on China—evidenced by Italy’s joining the BRI. 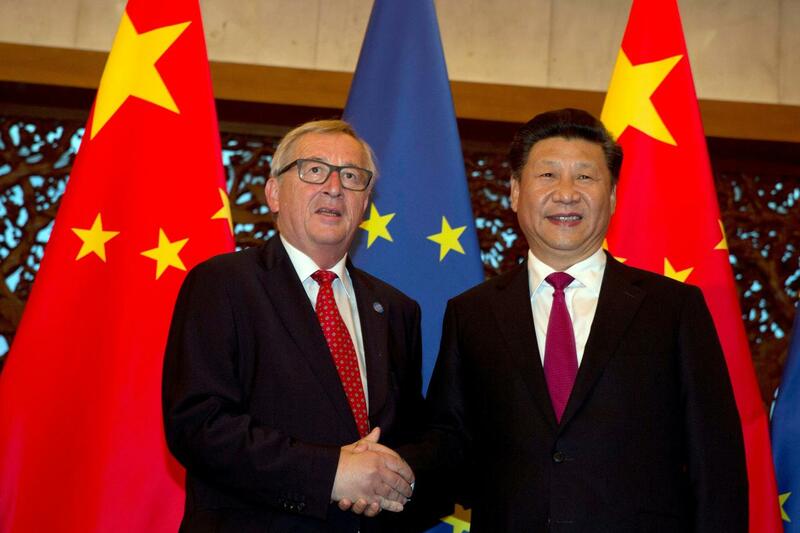 Expect Beijing to continue seeking bilateral deals with individual EU member states in a strategic attempt to undermine the bloc’s attempts at coordination.